Give your head a big, Celestion-loaded mouth. 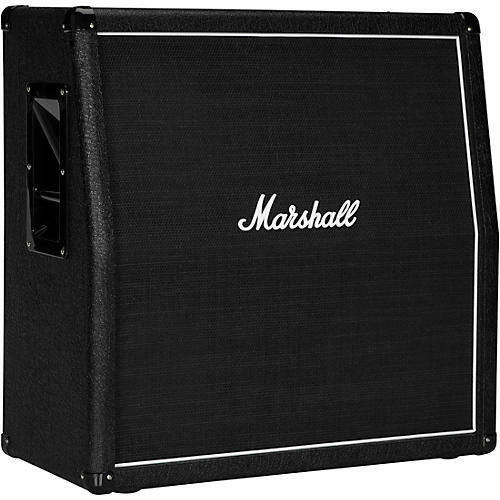 Voiced to be paired with the DSLR series of amplifiers, the Marshall MXR mono cabinets featuring the iconic Marshall logo are loaded with Celestion speakers, and come in a variety of sizes to compliment any set up. The MX412AR is loaded with a quartet of Celestion G12E-60 speakers for a total power handling of 240W. And the angled speaker baffle provides maximum projection.